This story was published in partnership with The Nation. On July 8, 2013, more than 30,000 incarcerated men and women across California began refusing to eat. It was the start of the nation’s largest ever prison hunger strike, and for some the fasting would last nearly two months. The mass protest made headlines across the country, and compelled the state to seek a federal court’s permission to force-feed participants. After state lawmakers agreed to hold hearings about conditions inside California’s prison system, the strike was finally suspended on September 5, 2013. What was remarkable about the statewide action was not just its size and duration, but the fact that it had been planned and coordinated by a group of men held in solitary confinement for 22 to 24 hours a day. The men were held in what was known as the Short Corridor of the Security Housing Unit (SHU) at Pelican Bay State Prison, one of the nation’s oldest and most notorious supermax prisons. We can no longer allow CDCR to use us against each other for their benefit! Because the reality is that collectively, we are an empowered, mighty force, that can positively change this entire corrupt system into a system that actually benefits prisoners, and thereby, the public as a whole. CDCR officials had repeatedly stated that, while the SHU is a form of restricted housing, it is not solitary confinement. They initially denounced the hunger strike as being organized by prison gangs. However, the growing attention from sympathetic state legislators as well as supporters across the country made it increasingly impossible to ignore the prisoners’ demands. In 2012, the Center for Constitutional Rights filed a federal class-action lawsuit on behalf of all individuals held in the SHU charging that prolonged solitary confinement violated the Eighth Amendment’s prohibition against cruel and unusual punishment, and that the absence of meaningful review for SHU placement violated Constitutional guarantees of due process. The lawsuit, Ashker v. Governor of California, was settled on September 1, 2015. Soon, the numbers of individuals held in the SHU began to drop dramatically, as men who had been in solitary confinement for as long as three decades were released into general population or into transitional “step-down” programs. The changes were widely celebrated, culminating in an October 2017 60 Minutes segment in which Oprah Winfrey sat in a now-empty cell at Pelican Bay. She extracted a mea culpa from CDCR director Scott Kernan for his department’s past excessive use of solitary confinement, and accepted without question his pronouncements about the brighter and more humane future that was coming to pass for incarcerated Californians. Five years after they refused their first meal, there can be no doubt that the prison hunger strikers and their supporters won a decisive victory. But prisons are notoriously change-resistant institutions, and the truth about solitary confinement in California today is far more complicated than the state-generated PR or upbeat reporting suggests. Just ask Todd Ashker. After only 13 months of being able to see the sky and talk face to face with other human beings, Ashker is back in isolation. And he isn’t alone. In September 2015, when the settlement was announced, 1,102 people were confined in Pelican Bay’s SHU. Two years later, in October 2017, that number had dropped to 476; by then, most of the long-term SHU residents who had spearheaded the hunger strike had been dispersed to other prisons. Under the settlement, CDCR agreed to place the more than 500 individuals who have spent 10 or more years in the SHU in either general population or a new restrictive-custody general-population facility, a unit in which people are still subject to intense supervision but have the opportunity for in-person interactions, group programs, and contact visits with their loved ones. The settlement also required CDCR to review all individuals placed in the SHU for gang affiliation and prohibited basing future SHU placement solely on gang affiliation. Instead, a person must be found guilty of a severe rules violation (such as murder) and must be sentenced to a defined SHU term rather than an indefinite placement. Moving forward, the settlement also limits placement in Pelican Bay’s SHU to five years. Across the state, the number of people in the SHU more than halved from 3,045 in July 2015 to 1,028 in July 2016. It dropped even further to 641 by July 31, 2017. As of June 29, 2018, 594 people are in the state’s Security Housing Units. A total of 1,557 people have been released from Security Housing Units. “They did what they said they were going to do,” noted Jules Lobel, president of the Center for Constitutional Rights and the lead attorney on the Ashker suit. “They removed everyone there for gang affiliations.” The numbers moved from Pelican Bay’s SHU enabled CDCR to convert a 480-bed SHU into a general population unit for people with lower-security classifications. Laura Magnani is the program director for the American Friends Service Committee’s California Healing Justice Program. 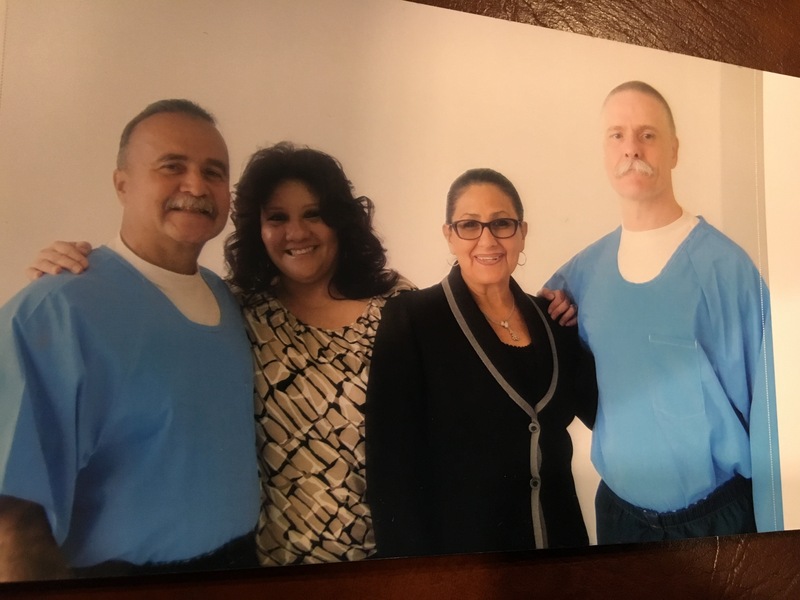 She is also a member of the mediation team that supported the prison hunger strikers and still meets regularly with CDCR about conditions in solitary. “By and large, there are still thousands in general population who were not in general population two years ago,” she said. Even before the settlement was finalized, CDCR had started to review and release people who had spent years in the SHU. In 2012, CDCR unveiled its Step Down Program, which re-assessed people with indefinite SHU terms for gang affiliation. For some, being in the Step Down Program allowed them to gain a handful of privileges even while in isolation. For others, however, the evaluation resulted in a move to general population. That was the case for Tomas, who spent 26 years in the SHU. In 2014, he was reviewed as part of the Step Down program and released to general population. Once in general population, Tomas eagerly participated in the prison’s available programs, such as Alternatives to Violence, the lifers’ program, and parenting classes, and he even convinced prison staff to revive dormant programs. “He didn’t want to be in his cell at all after all those times living in a shoebox and doing nothing,” Martinez said. But not everyone has been afforded the same opportunities. Many men former held in the SHU have been transferred to Level IV prisons, which are the highest security level for those in general population. In Level IV, they reported being allowed out of their cells for even less time than when they were in the SHU. For instance, 16 of 55 individuals surveyed by the Ashker legal team reported spending less than one hour out of their cell each day for an entire month. Another 11 said that, during that month, they spent less than two hours out of their cells each day. Attorneys for Ashker argued that transferring people from the SHU to these highly restrictive Level IV prisons does not satisfy the settlement conditions that they be moved to general population. In March 2018, however, the federal court decided that this was not a matter covered by the settlement agreement and declined to intervene. Despite its shortcomings, the settlement has allowed thousands of people to leave the SHU, shake hands with another person, and hug their loved ones. But for Todd Ashker, and some others, this newfound ability to see the sky and talk with people was short-lived. After only 13 months in general population, Ashker is now back in isolation, this time in the prison’s administrative segregation unit. “It’s now been more than 11 months,” he wrote in an April 2018 letter. The reason? He was told that prison officials had received confidential information that he would be attacked, if not killed, if he remained in general population. Administrative segregation is another form of isolated confinement in which people are confined to their cells for 22 to 24 hours per day. They are not allowed to mingle with other prisoners, even during their one hour of recreation. But unlike the SHU, in California, administrative segregation, or ad seg as it’s commonly called, is not meant to be long term. In the past, individuals held in ad seg were allowed very few of their possessions if they were given any at all. Though the settlement does not cover people in ad seg, those numbers too have dropped. In 2015, 4,172 people were in ad seg, as of Jun 29, 2018, that number is now 2,689. During the hunger strike, the men held in Pelican Bay’s SHU selected four men, including Ashker, to be their representatives in negotiations with prison officials. All four men were released from the SHU post-settlement; in the ensuing months, however, all four were placed in ad seg. Two of the representatives, said Lobel, are now out of ad seg and back in general population. One, Arturo Castellanos, remains in ad seg pending investigation into an alleged murder charge after another prisoner died of a heroin overdose. Ashker has gone to court to challenge his placement; a judge ordered a settlement conference though no date has been scheduled yet. Meanwhile, he remains locked in a segregation cell. Ashker is not the only hunger strike organizer back in isolation. Over the past year, the numbers of people placed in Pelican Bay’s SHU have risen from 320 in March 2017 to 463 in March 2018, in part because of a May 2017 fistfight in the yard that escalated into an attack on correctional officers. One hundred and thirty people were placed in ad seg pending investigation, but because there was not enough room in the ad seg unit, some were sent to the SHU. As of June 29, 2018, there are 447 people in Pelican Bay’s SHU. This includes 34 people who were found guilty of battery on a peace officer or attempted murder as a result of the May 2017 fight. But his relative freedom was short-lived. Four months later, he was once again in the SHU after an unknown person complained that he felt threatened by Shakur’s presence in the yard. Shakur spent 1.5 years in the SHU pending investigation. Shakur’s experience isn’t uncommon. The settlement does not prohibit prison officials from utilizing confidential information or informants in SHU placement. It just stipulates that individuals can no longer be placed in the SHU for an indeterminate period for alleged gang association. Even in ad seg, Ashker is benefiting from the gains won through hunger strikes and litigation. Now, when a person is placed in ad seg, they’re allowed to have a combined TV/radio appliance (though they must have the money to buy it). Because Ashker is in what’s known as non-disciplinary ad seg (meaning that he’s isolated for his own safety rather than for violating prison rules), he’s permitted one 15-minute phone call each Saturday and is allowed to spend more money at the prison’s canteen than those placed in ad seg for breaking prison rules. However, Ashker and the 115 others in the prison’s ad seg are subjected to sleepless nights because of court-ordered “wellness checks,” which require prison staff to check on people in isolation every half hour. These checks are the result of another class action lawsuit, Coleman v Brown, filed on behalf of 30,000 incarcerated people with mental illness. The court ruled that California’s prison mental-health services violated the Eighth Amendment prohibition on cruel and unusual punishment. Given California’s alarming suicide rate (22 per 100,000 people compared to 15 per 100,000 in other state prisons), the court ordered regular wellness checks to decrease the number of suicides in isolation units. Officers are required to use the Guard One system, in which an electronic wand must touch a button on each cell to verify that the check had been conducted. In many prisons, both the wand and the cell button are metal, causing a clanging sound with each check. At night, these checks are conducted every half hour. At Pelican Bay, where the architecture makes it impossible to conduct these checks quietly, they take place every hour. However, these checks have not always prevented suicides. In 2016, Matthew Lopes, the court-appointed monitor for prison mental-health care, audited 23 of the state’s 33 prisons for their suicide prevention practices. In those 23 prisons, 35 suicides had taken place despite the Guard One program. Of those 35 suicides, 11 occurred in administrative segregation, the SHU, or the Psychiatric Services Unit. In March 2017, another suicide occurred in Pelican Bay’s Administrative Segregation. Using strips from his prison bedsheet, 27-year-old Marcas Reyes hung himself. According to the coroner’s report, an officer had conducted a check half an hour earlier, noted that the cell was dark and assumed that Reyes was asleep. In May 2017, Jorge Rico, who spent two years in Pelican Bay’s SHU, also filed suit against CDCR, charging that the Guard One system awakens people in the SHU throughout the night. According to Rico’s complaint, the constant disruption and continued loss of sleep caused him to suffer “medical problems from sleep deprivation, including headaches, blurred vision, body pain, anxiety, mood swings, memory loss, inability to concentrate, irregular breathing, loss of appetite, and heart irregularities including heart pain and an abnormal heartbeat.” None of these symptoms had occurred before his SHU confinement and, even after being transferred from the SHU, he continued to experience irregular breathing, dizzy spells, and throbbing headaches. His case, one of six separate lawsuits challenging these wellness checks, is currently pending in federal court. However, discontinuing these wellness checks is not up to prison officials. “CDCR is compelled to comply with the federal court order in Coleman v. California regarding implementation and frequency of wellness checks,” stated Terry Thornton, CDCR’s deputy press secretary. Shakur was released from his second stint in the SHU after 1.5 years. He was sent to a Level IV yard, a less restrictive unit. Still, many feel the effects of the SHU months, if not years, after being released from isolation. Cesar F. Villa spent 14 years and 11 months in the SHU. In November 2015, as part of the Ashker settlement, he was released to general population at the California Correctional Center in Susanville. “It was too much too soon,” he recounted. “I was prepared to attack anyone and anything. Imagine a lion or a gorilla being poked and prodded every day for 15 years. Then one day his cage is left open. His first encounter is a group of people similar to his torturers. What do you think his reaction would be?” What stopped him, he wrote, was his family. “I owed it to them to endure what freedom had to offer,” he said. Villa is not the only person with difficulty re-adjusting to human contact. In the spring of 2017, members of Stanford University’s Human Rights in Trauma Mental Health Laboratory (or the Stanford Lab) interviewed 29 men who had spent more than 10 years in the SHU and were now in general population. The study, which is the first of its kind to study the aftereffects of prolonged isolation, found that people in long-term solitary confinement experienced a number of psychological problems, such as irritability, intense anger, anhedonia (an inability to feel joy), hopelessness, depression, anxiety, and emotional numbing. Many of these emotions did not dissipate upon release from the SHU; instead, they persisted or even worsened after the men were in general population. The study found that many of the men were “overwhelmed by and underprepared for the post-SHU experience,” including the sudden change to frequent human interactions that involved making eye contact to greeting other people. They reported ongoing anxiety and hypervigilance as well as anger and aggression. This article is part of a series, Solitary Confinement: Revisiting the Reforms, that assesses a variety of changes that have reduced the use of solitary confinement in jurisdictions across the country. Solitary Watch will be examining where reforms have succeeded, where they have failed or stalled, and where they fall short of the claims being made by corrections officials, which are sometimes echoed by mainstream media. We will be publishing these articles on no particular schedule, whenever the opportunities arise. Support for this work has been provided by The Langeloth Foundation. This entry was posted in Features and tagged administrative segregation, Ashker v. Governor of California, California, CDCR, Center for Constitutional Rights, Coleman v Brown, Dolores Canales, gang validation, hunger strike, Lawsuits/Litigation, Legal Services for Prisonres with Children, Pelican Bay State Prison, prisoner activism, reforms, Security Housing Unit, Solitary Confinement, suicide checks, Todd Ashker. Bookmark the permalink.